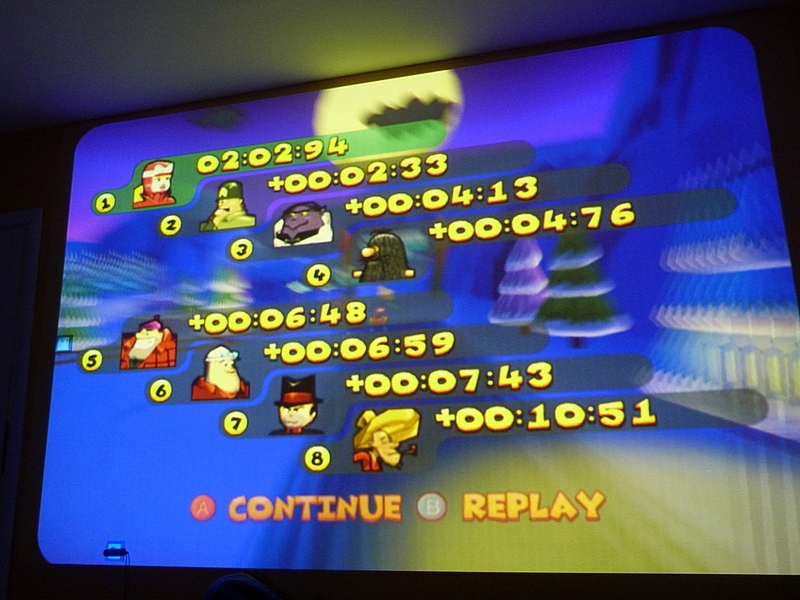 Goal: Get the fastest time on the Snow Hope Village track. Wacky Fast! - Get a time of 2' 00" or less. Here's a baseline time to start things off. It's very quiet in here! I'll give it a shot tonight as well ! Awesome! Looking forward to having some competition! Hmmm, can you re-upload the image? It's not loading. I haven't been able to track down a copy. If I can find one I'll post a time. Haha! Beat your time by milliseconds segata! I do think a time below 2 minutes is possible though. There's a lot of luck involved though.